A guide for selecting citrus trees that will grow well here in Houston. Includes a list of growers that produce citrus trees for Houston-area nurseries, and what rootstocks they use. Before buying a citrus tree, check the tag to see where it was produced, and then look up what rootstock was used. If it turns out the tree is grafted onto trifoliate, you can buy with confidence. Otherwise, buyer beware. Slides from an Earth Day presentation I gave last year on the different kinds of fruit that can be grown in Houston. The presentation provides an overview of when different fruits are available throughout a typical year. It lists specific varieties that I have grown, and includes lots of pictures of fruit grown in my yard. This is THE book for anyone who wants to get started growing anything here in Houston. 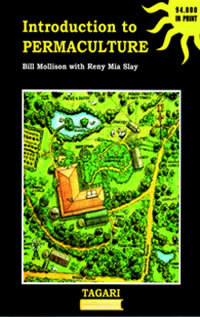 It's a great introduction to organic gardening, fruit trees, irrigation, permaculture, etc. This book is really really cool. These people are serious about fruit. This book describes several amazing exotic fruits, but not anything I could grow here in Houston without a greenhouse. A really good book about the author's family only eating locally grown foods for one year. This book inspired me to try to make cheese (and fail). Lots of recipes, but the produce seasons of Virginia don't correlate to Houston's. This guy really loves pluots. I thought this was a really interesting book about plant breeding, and how fruit gets from California to my local HEB. I try to eat local, but I'll have to try a pluot this summer after reading this. A concise guide for growing grapes and berries. It contains lots of practical information aimed at the commercial grower. Diagrams of proper muscadine pruning. An interesting biography of a quirky character responsible for breeding many familiar fruits and vegetables. This book has a lot of interesting ideas, but is almost better suited to those with a few acres to play with. Definitely not for people with Home Owner's Associations. Still interesting, and worth checking out. This book is definitely worth owning if you have a big garden or lots of fruit trees. It has several great recipes and ideas for preserving your harvest. Really good salsa recipe. A really cool book about a really cool person who raises fruit, vegetables, chickens, ducks, turkeys, bees, rabbits, and even two pigs on an abandoned lot near downtown Oakland, California. An interesting narrative about the relationships between gardens, people, and nature. It also includes what I think is a biting indictment of the classic suburban lawn, and the American concept of what our yards should look like. This is an interesting look at several fruits most people don't know anything about. I would say half of the fruits discussed can't be grown in Houston due to chill hours needed. Worth checking out if you're interested in growing the unusual. This is a wonderful free book about growing a wide variety of fruits along the gulf coast. Sam is a true fruit growing pioneer, to whom we owe much. Want to know the cold tolerance of jaboticaba? This is the book for you. 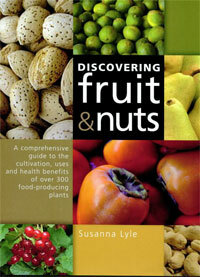 Tons of detailed information on hundreds of common and uncommon fruits. A really great resources I wish I had found earlier. 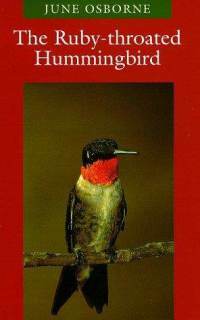 An easy to read little book which describes in detail the history, physiology, behavior, courtship, nesting, and migration of this fascinating bird. Great book, especially if you're into pecans, pome, and stone fruit. Great sections on pruning and grafting, but the citrus section leaves a lot to be desired. Lots of good information about the yield and time to bear of different trees. This is a good little book with really good explanations of the fundamentals. It's a little bit out of date, especially regarding newer varieties, but worth looking at. Sadly, this book is out of print. It is the most detailed and complete guide to growing citrus in Houston you can get, full of great hand-drawn illustrations and descriptions of different cultivars. A nice free book about home citrus production, with lots of great insights from Galveston County Master Gardeners. Not overly technical, nice descriptions of people's favorite varieties. A nice little book with more information in it than you'd think at first glance. The book is 1/3 narrative and history, 1/3 varietal descriptions, and 1/3 recipes. It even has a page devoted to budding. Not the most practical guide, but well worth a few bucks if you can find it used. A fantastic 2 volume collection of pecan papers, mostly aimed at the commercial grower. Full of valuable information you won't find anywhere else, particularly regarding the dichogamy of pecan flowers. A rare fig paper I got courtesy of Louis Peter of Cedar Lane, Texas. Written by some of the fathers of the modern fig varieties we all know today, this book is well worth tracking down if you can. A unique look at the apple, the tulip, the potato, and the marijuana plant, and how they have been shaped by their relationship with humans. The chapter on apples is especially good. A good book overall, but the author takes dirt not just seriously, but spiritually. Pretty good general description of soil forming processes, without getting too technical. The title almost says it all. This is a nice little practical guide to composting originally published in 1975, full of good practical information for those wanting to begin composting. Inspired me to start blending my food scraps. A great introduction to jujubes, with supplemental information and pictures by the late Sam Powers. Book is a collection of articles from several sources. Lots of good varietal descriptions written by people that actually grew them. This book is a compilation from several sources. The varietal descriptions are valuable, but are sometimes contradictory. Richard Ashton owns Oak Creek Orchard in Brownwood, Texas. Free book for download that provides lots of good practical information. A very pretty book, but no real good information for the home grower here. A British book written for British orchards, and not useful for those of us in Houston. Still, lots of great pictures and brief histories. A small book full of technical botany, but unfortunately lacking in practical information. Not useful for the home grower.